Perfect Fit Adjustors (PFAs) 101: what they are and what they can do for you! 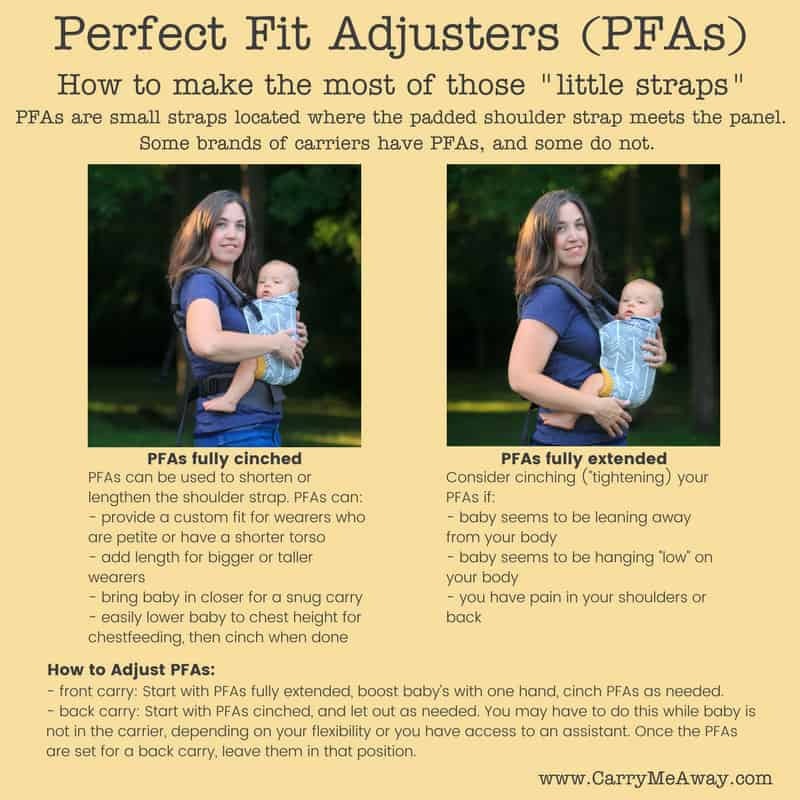 Perfect Fit Adjustors (PFAs) are a nifty little feature on some buckle carriers that allow you to further customize the carrier for your needs. They also simplify breastfeeding. Buckle carriers we currently carry that have PFAs are Tula Carriers (both standard and toddler sizes), the Beco Carrier, the Lillebaby Essentials, the Ergobaby Adapt and the Ergobaby Omni. What are Perfect Fit Adjustors? 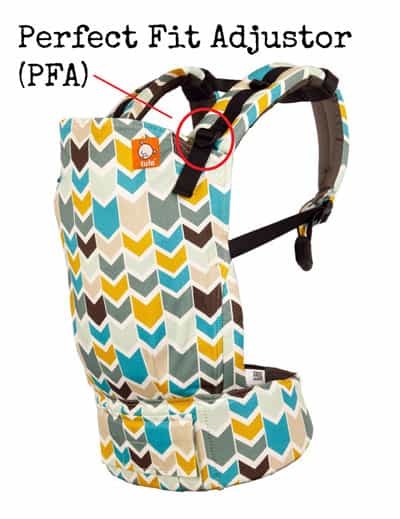 PFAs are the small straps located where the padded shoulder strap meets the panel of the buckle carrier. They can be used to shorten or lengthen the shoulder strap. you are having pain in your shoulders or back. Here’s a little infographic that pretty much cover it all!